"The killer left this disc at the crime scene!" exclaimed Barbie. "Good work, Barbie," said Steven, "Let's see what's on it." They put the disc in the computer. It was a bootleg version of Bee Movie. 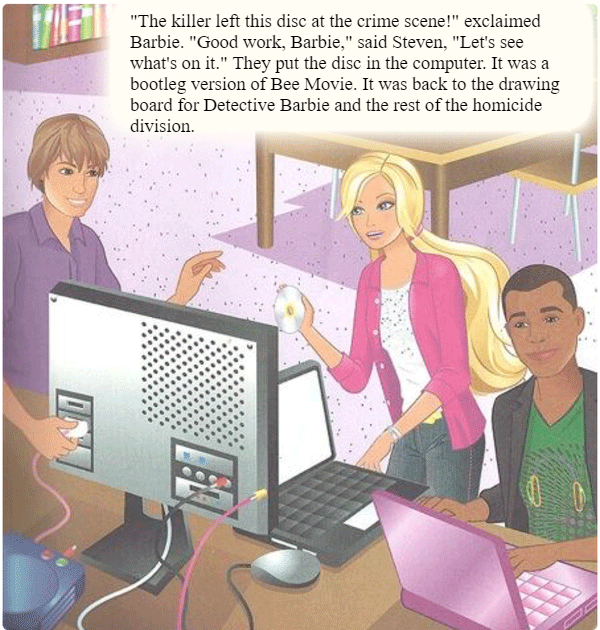 It was back to the drawing board for Detective Barbie and the rest of the homicide division.